Website X5 is the all-in one solution to create professional, eye-catching and complete Websites, Blogs and on-line stores that are optimized for search engines, are fully compatible with all the major browsers and, moreover, are responsive, capable of adapting automatically to the resolution of the device they are displayed on. No programming skills are required and you can use a simple fully-visual and intuitive interface that guarantees flexibility and customization. 1. Choose between 1,000 different templates included in the program or create your own from scratch. 4. Customize your website: add a members' area, create a multi-language website, etc. If you're looking for some extra ideas for your website then WebSite X5 can help: browse through more than 400,000 royalty-free photos, a library with various buttons and graphics, a gallery of ready-to-use apps, and much more. 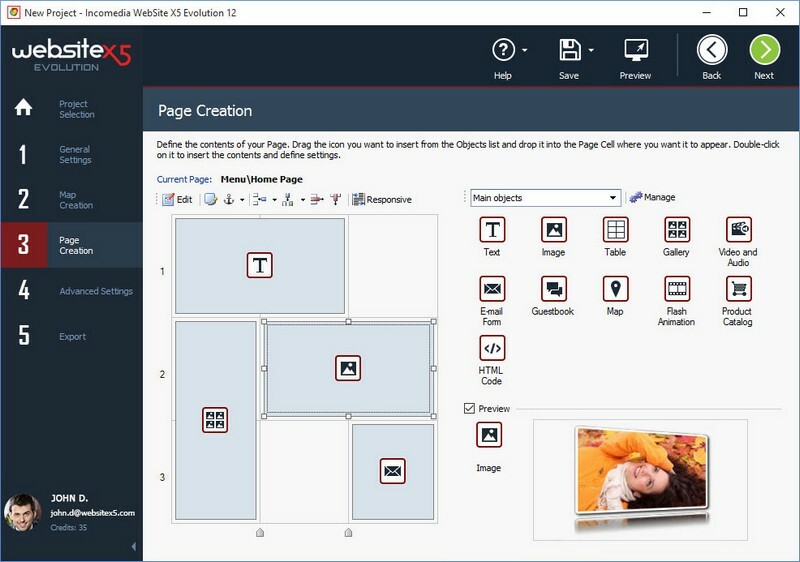 WebSite X5 Evolution (Popularity: ) : Website X5 is the all-in one solution to create professional, eye-catching and complete Websites, Blogs and on-line stores. No programming skills are required and you can use a simple fully-visual and intuitive interface that guarantees flexibility and customization.